These issues are of special relevance for Africa. 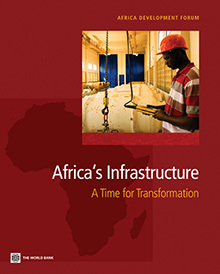 In 2010, the Africa Infrastructure Country Diagnostic—which resulted in the first volume published in the Africa Development Forum (ADF) Series (“Africa’s Infrastructure: A Time for Transformation ”)—found that to enable Africa to fill its infrastructure gap, US$93 billion per year will need to be invested for at least a decade. The Program for Infrastructure Development in Africa (PIDA), endorsed in 2012 by the continent’s heads of state and governments, lays out an ambitious long-term plan for closing Africa’s infrastructure gap, including major increases in hydroelectric power generation and water storage capacity. How will climate change affect Africa's plans to upgrade its infrastructure? 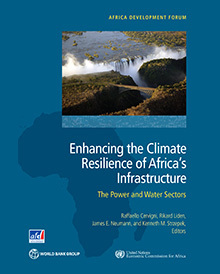 ​Our recently published book, Enhancing the Climate Resilience of Africa's Infrastructure: The Power and Water Sectors , sheds light on this question. This book evaluates—using for the first time a single consistent methodology and a wide range of state-of-the-art scenarios—the impacts of climate change on hydropower and irrigation expansion plans in Africa’s main river basins (Congo, Niger, Nile, Orange, Senegal, Volta, and Zambezi), as well as the effects on the electricity sector across four power pools (West, Eastern, Central, and Southern).